Join Bret Malley and learn how to unlock the power of curves in Photoshop! In this class you’ll gain a better understanding of the curves adjustment, how read a histogram, explore different ways curves can be used, learn different techniques for manipulating curves, and explore some of the most common use case scenarios. From global edits to localized tweaks, curves can be a powerful ally in your post production work. Learn how to do a family portrait with a magical twist! Join Bret Malley as he teaches you all the steps, from shooting to post processing, needed to create your own fantasy fine art composite. 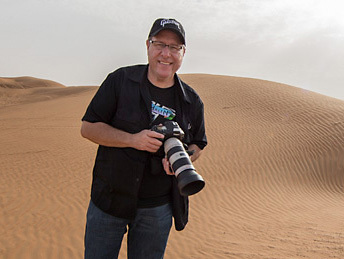 Bret takes you through the gear he uses, his process for pre-production, how to communicate and work with the subjects, his lighting setup, how to photograph each element of the composite, and then how to bring it all together in Photoshop. The first half of the class is a live shoot where Bret creates all the pieces, and in the second half, he teaches you his tips and techniques for creating a seamless composite that brings your imagination to life.